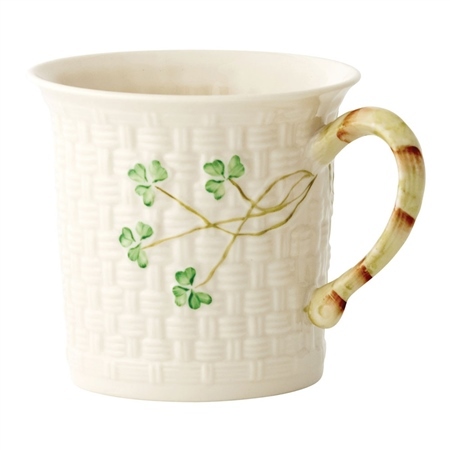 This Shamrock Mug is Belleek's most valued mug, it is simonimous with the authenticity of Belleek's products. An ideal gift, or a perfect Irish touch to your home, this mug will not disapoint. 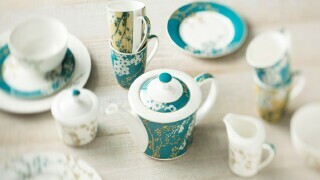 The size, the weight so carefully balanced, the beauty of the shamrock design, bring a special pleasure to tea. 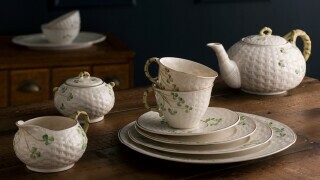 My mother always said there is nothing like fine china to bring out the best in tea and there is no finer china than Belleek. Lovely, lovely! I love the shamrock pattern and I would love to own this mug. My aunt has this one and we each have our mugs and have a good mug of tea and conversation. My grandma from county Mayo raised us on one special mug at least of Belek because she always believed that you think better and make better decisions when you drink tea from a good china mug. Belek is the very best. It would help if you would mention inches and ounces of mugs esp. And I don't mean your face! These mugs look just like the picture. 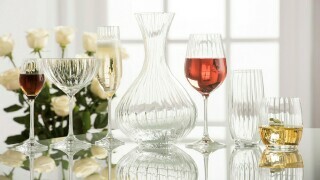 They are very pretty, sturdy and yet delicate. I am delighted I bought them. What are dimensions in inches?